73 year old Zainab Sulaiman hugs Master Ong Q Leng for apparently solving her "spiritual fire" problem. Since December, Zainab Sulaiman, of Penang, Malaysia has been dealing with a nerve racking problem with a reportedly paranormal source. She claims that fires, sometimes several at once, would mysteriously break out in her home, destroying her things and frightening her grandchildren. Convinced that she had an evil spirit haunting her residence, she invited some “experts” to fix the problem. Since the bizarre fires began breaking out last year, destroying over 250 articles of clothing, along with prayer mats and other flammable items, Sulaiman has called in five different supernatural gurus, including an American couple well-versed in exorcisms and a group of Muslim “ghostbusters”. While she had to turn away the American couple due to a language barrier, the “ghostbusters”, who go by the name of Darul Shifaq, spent the night in her small wooden home in January of this year, chanting Quranic verses and using blessed water to cleanse her collection of antiques, where the evil spirits were believed to reside. Darul Shifaq leader Zakaria Ya told reporters that djinn or spirits rarely possess human beings, but have an attraction to items used in black magic ceremonies. 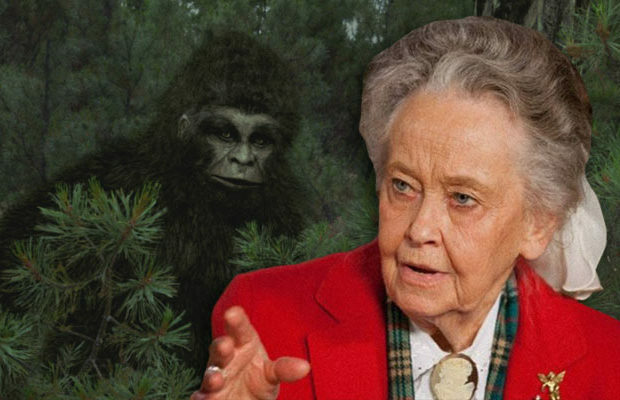 “We have come across this sort of paranormal activity before, and her an­cient belongings may be the cause of the fires. Zainab could have inherited ancient keris or swords from her forefathers who could have practised black magic,” he said. Despite their best efforts, the fires did not stop. In fact, according to Sulaiman, the outbursts just got worse. The flames continued to sprout up, spoiling food, destroying her granddaughters’ school uniforms, and someone – or something – would secretly turn on the gas stove. During an interview with the Sin Chew Daily, the weird flames reportedly appeared five separate times. “I am afraid anything I do now may anger the spirits further,” she was quoted as saying. Then she met spiritualist Master Ong Q Leng, from Seberang Prai, who after two individual trips to chase away djinn and provide spiritual shields, has apparently bested the evil spirits. “I returned home after providing the shields on the first day but my instincts told me that there would be trouble and I returned to her house the next day and arrived just as fires began to erupt,” she told The Star. Sulaiman was so pleased with the results that she travelled to Ong’s hometown to take her ten-strong family out for a nice seafood dinner. “When my misery ended, I made up my mind that I would one day make a trip to Penang to pay her a visit. It is only right, as she had come all the way to my village to help me,” said Zainab. Since the odd story of Salaiman’s fires were first reported last year, there has been speculation that her “spiritual fires” had a far simpler explanation than demons. Some armchair investigators claimed that the outbreaks were more likely attributed to the grandchildren who, in order to stay home from school, were burning their uniforms with the gas stove and blaming evil spirits for the singed clothing. It would certainly not be the first time that children’s pranks were presented as the probable cause for a major haunting. Was the spoiled food ruined by "spiritual fires" or mold? Another less-than-paranormal explanation might be mold. Many of the “burn marks” shown to investigators looked an awful lot like the kind of mold that begins to grow in a damp environment, such as an old wooden house. It would explain the odd spoiling of food, as well. Perhaps the investigators should think to ask how the weather is comparing in Malaysia now that the “fires” are gone, to the weather when the outbreaks were commonplace. Is it more arid? Does it rain less now that in did in December? Regardless of the cause, I’m convinced that the bizarre “spiritual fires” of Zainab Sulaiman’s home are not over. When they show up, on the other hand, depends on how angry the demons are, how badly the children don’t want to go to school, or how much it rains in the city of Penang. For more, visit The Star or the Sin Chew Daily. Despite the patronising, sarcastic tone of the piece, I noted that no-one from the team decided to get off their behinds and go and take a look. Well, I did, back in February this year, and spent a day at the house. The burns were everywhere – it wasn’t mould, they were burns. There were also two outbreaks while I and a Star reporter were there, but nothing that couldn’t be simply faked. There are some interesting aspects to the case, but nothing I saw could be clearly labelled paranormal (whatever that means). And despite the author being “convinced” they’d continue, the fires did peter out and stop shortly after I visited. There will an article shortly in Fortean Times on my visit. Its so easy to sit back and pick holes in a story from an armchair on the other side of the world. I’m not totally neutral – I have an impression (and its only that) that there is something genuine behind the poltergeist phenomenon, and a friend and I are now putting a book together on Australian cases. In order to test my belief Ive been trying to locate and get involved in active cases worldwide. I’d challenge the WF team to stop with the snarky comments, when these cases come up, get out of your comfy chairs and see for yourself! Oh and a few other corrections – the case took place in Kota Bharu, which is on the eastern side of Malaysia, not Penang on the west. Sloppy! The caption in relation to the photo is also wrong – its a pot of rice that Ms Zainab believed the djinn had dumped budu (a red-coloured fish sauce) into while her back was turned. A typical plot-type trick. Thanks for stopping by, Mr. Cropper! I’d just like to point out that this was not really meant to be any kind of in depth piece, but actually just a short summary of weird news.. thus, the Daily Weird. In fact.. if you click the links, they’ll go to the sources where we got the information.. whether that information was correct or not, well, that’s the source’s business. If they did a sloppy job on their reporting, then our summaries are bound to end up looking the same way. As for getting off our butts and taking a look, we’d love to! When does the plane leave? We’re just a bunch of broke kids with a website that none of us get paid for, so none of us can really afford to hop a flight to Malaysia, as much as we’d enjoy that. So yeah, we just do this for fun. If we’re wrong once in awhile, so be it. It happens. Thanks for clearing all of this up for us, though. That’s why The Fortean Times pays you the big bucks. Send our kind regards to them, if you will. Thanks Greg – and its Paul 🙂 My point was more that – just maybe – some of the short news grabs are weirder than you think. Hey, if you guys want to talk to someone really interested in polts, drop me a line (my mails off the website link). Cheers Paul. I’m going to take you up on that!